Winter ski breaks don’t have to be all about skiing in the day, and sitting in front of a roaring fire at night, even though that does sound rather inviting! No, in Austria we have one of the liveliest and fun-in-the-snow resorts at our beck and call. Welcome to Ischgl! Think of it as a much tamer version of the Club 18-30 holiday, only more family friendly and a lot colder! Where to stay in Ischgl will be your first decision, and you’ll be spoilt for choice, with many hotels, apartments, and ski villages begging for your stay. You will find a large range of hotels in Ischgl, Austria, and there is a range of budgets available, meaning a family stay may work out cheaper than you think. Ischgl ski resort is widely thought to be one of the best ski areas in the world, not only because of the facilities and entertainment on offer, but also because of the quality of slopes and pistes, with varying skill expertise required for each. 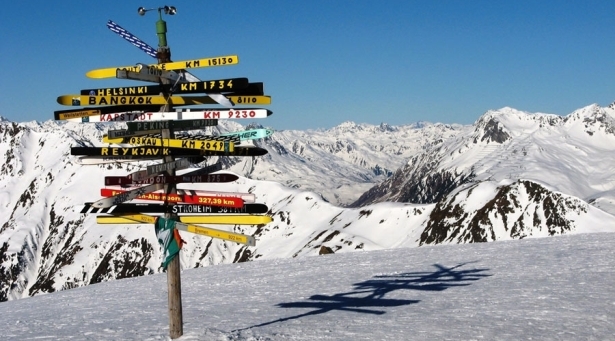 238km of pistes await you, with 44 lift facilities and the famous Silvretta Arena. You will reach 3000m altitude and you can even head over into Samnaun, Switzerland with the Schmuggler Runde taking you across the border on a fun and adventurous ski safari to test and thrill. Anyone with a valid ski pass within the area can take advantage of the free ski bus that will pick you up from your accommodation in Ischgl, and drop you back off at the end of the day, taking you to outlying ski areas. This is a great opportunity to explore further afield. Away from the ski slopes, you have the opportunity to go mountain biking, walking, paragliding, ice skating, and horse riding, as well as the more snowy activity of tobogganing. There’s not much chance of you getting bored in Ischgl! Many big named stars head to Ischgl throughout the winter season to play Top of the Mountain concerts, so check out planned events before you book if you want to catch sight of a superstar. When the sun goes down, Ischgl doesn’t rest, with restaurants, bars and a huge disco area proving that the hills truly are alive! Ischgl is a true holiday resort within the snow, and an action-packed one at that. Plenty to keep everyone occupied, no matter what age, and more than enough for the kids as part of a family holiday, nobody will be bored, and everyone will certainly sleep well when their heads eventually hit the pillow. The Playstation Vita Ischgl Snowpark is a must-visit for kids, and is sure to keep them occupied for a few hours, and the picturesque promenade is perfect for a low-energy walk, whilst calling in at a few of the classy shopping boutiques, picking up a few necessary souvenirs to take back home. There are some fantastic deals on offer for ski holidays to Ischgl, and all that is left is for you to take advantage of one.